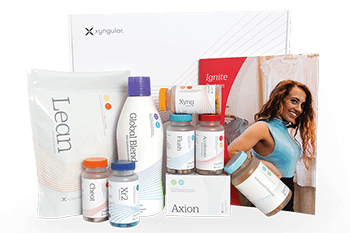 Xyngular Axion is a complete multi-nutrient that gives essential nutritional support for every function and cell of the body. Axion greater nutrient blend supports everything from the defense system to the cardiovascular system, while ensuring a fit metabolism and brain work. All these components should help keep your body in optimal health*. In addition to essential minerals and vitamins, Xyngular Axion contains enzymes, whole foods, probiotics, omega fatty acids. This ultimate mixture gives improved digestion health* and make sure that you the complete advantage of the supplements and foods you use. It is not vital what you swallow but what you absorb. This is the factor why the gradual releasing of nutrients was developed. The “general” vitamins fast dissolve after washing them down and will leave your body in urine without absorbing. Axion B-layer gradual releasing technology may offer you with long-term influx of nutrients that are slowly absorbed for several hours. One layer in Xyngular Axion begins to release and absorb shortly after use and the other one begins releasing after a few hours. Thanks to Xyngular Axion B-layer the body can absorb extra vitamins and excrete less. Would you like to order just an Axion supplement and not whole weight loss package? Not problem. Choose your preferred option and enjoy its benefits. Do you have more questions about Xyngular’s optimal health supplement Axion ? Read more and find everything what you need to know before buy. How do you recommend using Xyngular Axion? We recommend taking 2 Axion first thing in the morning with food. A double dose (4/day) is important for people with challenged immune systems, heavy exercisers, seniors, and those with serious health issues. Can I take Axion with my medication or condition? 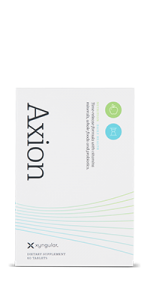 What makes Axion different from a standard multi-vitamin? We utilize a bilayer tablet, allowing for immediate and sustained release. Axion contains total body and guy support, including probiotics for digestive health. Yes. Be aware that once crushed you Axion the delayed release benefit will no longer be in effect. How many softgels are in each bottle of Axion? How much of Vitamin D (Any Nutrient) is in Axion?